Ricardo Ferrino tried everything to reach his teammates on Wednesday. The Lights FC goalkeeper screamed. He pointed. He motioned for his team to keep things calm. Nothing stopped Phoenix Rising FC from coming right at the net. Phoenix’s high-powered offense rolled past the Lights 4-0 in Tempe, Arizona, despite Ferrino’s best efforts, getting a potential rivalry off to an ugly start. Rising FC (8-3-4) is one of only two clubs Las Vegas will see three times this season, although once was likely enough for the Lights (3-5-4). They were outhustled and outbattled on the road, as they were outshot 24-17 and lost 70.7 percent of their duels. The scoreline was no fault of Ferrino’s, as the Torreon, Mexico, native made seven saves to give him the fourth-most in the United Soccer League this season (41). 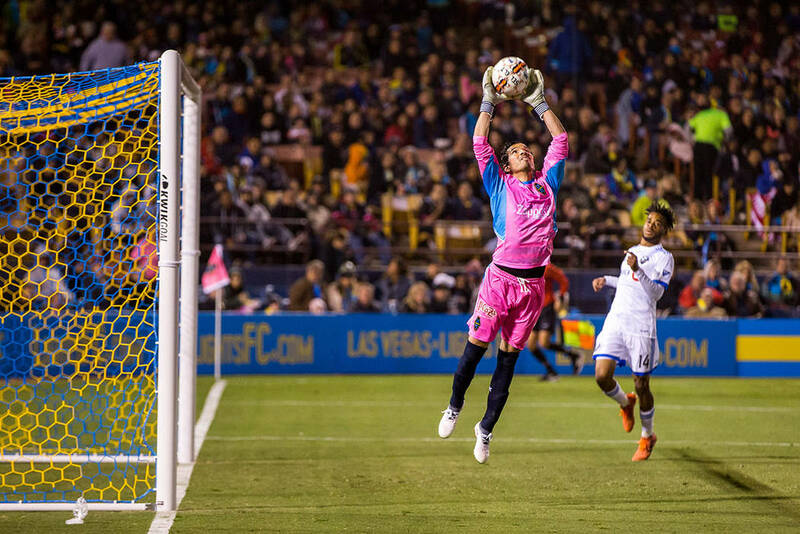 Phoenix, the highest-scoring team in the USL, kept creating space against the Lights’ back line and forcing the goalkeeper into difficult situations. Midfielder Jason Johnson struck twice — in the 32nd and 77th minutes — to lead Rising FC’s attack, and defender Joe Farrell and midfielder Solomon Asante also scored. Farrell headed the ball in on a set piece in the 53rd minute after defender Joel Huiqui picked up a yellow card, and Asante converted a penalty kick in the game’s final minutes after defender Marco Cesar Jaime Jr. was called for a foul. The blowout turned into a huge celebration for Phoenix in its first game under interim coach Rick Schantz, after coach Patrice Carteron left the team Tuesday to join Egyptian Premier League club Al Ahly SC. The Lights proved wholly incapable of crashing the party, and now face a quick turnaround before hosting Seattle Sounders FC 2 on Saturday at Cashman Field. They’ll go into the match without Ferrino for the first time all season, as the goalkeeper picked up his fifth yellow card against Phoenix and will have to serve a one-game suspension.